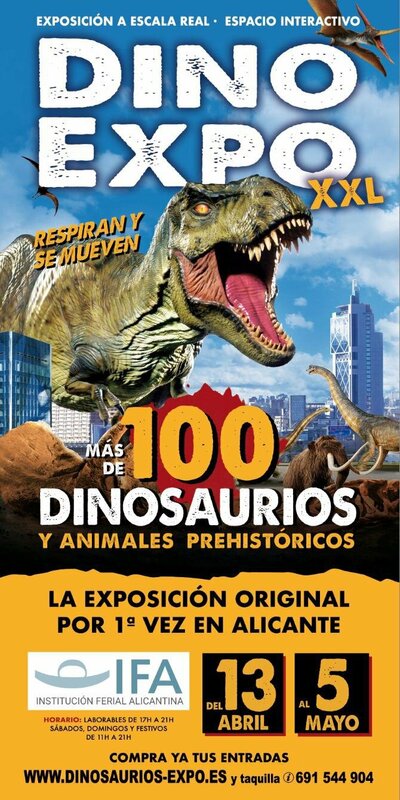 The last dinosaurs and impressive prehistoric animals invade Alicante from April 13 to May 5 at the IFA in Alicante. Wonderful interactive exhibition in Alicante, where you'll feel like you're in Jurassic Park! Animated dinosaurs, fossils, an adventure in the Ice Age, in the best Jurassic Park in Europe. Don't miss this Dino Expo in Alicante.